Bon Vivant Bloom is a one part ultra premium base nutrients containing all 16 essential elements required for optimum plant growth. Bon Vivant Bloom are produced from the higher and purest pharmaceutical grade raw material. These pure raw material enhance your plants’ abilities to get the maximum absorption of nutrients. Bon Vivant Bloom was designed to work in Coco, Hydroponics and Soil mediums. 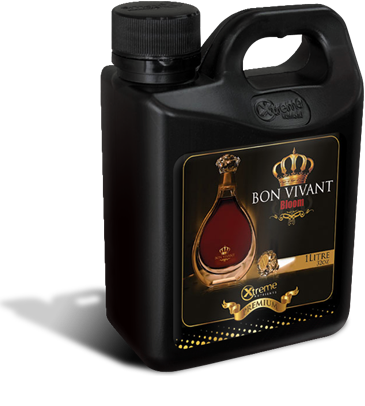 Bon Vivant Bloom was designed to promote flower and fruit development, enhances flavor, aroma and essential oil. Use Bon Vivant Bloom from first week of flowering cycle until harvest.